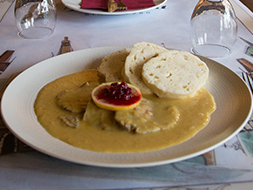 In the Czech Republic since the Middle Ages, the food had become a rare art. 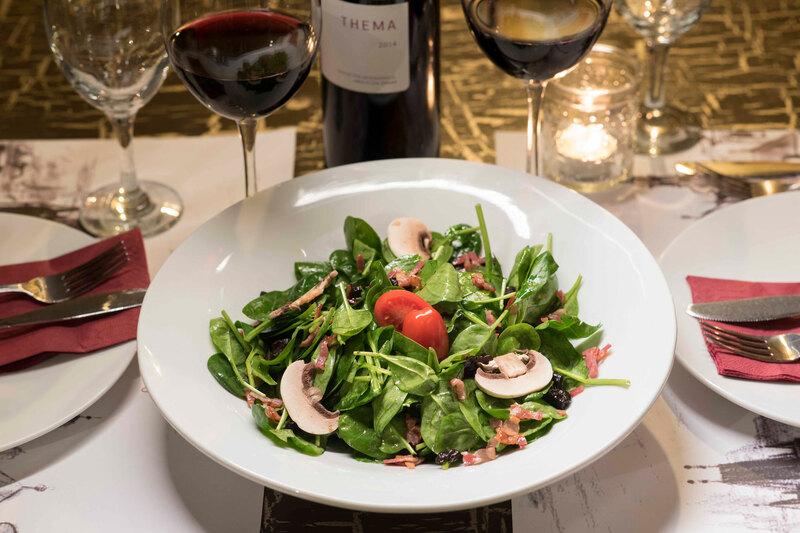 Meals kept hours, and their creation included a burst of tasteful challenges. 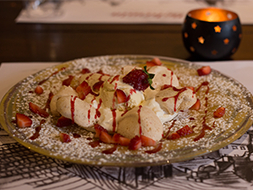 The Bohemia Restaurant guarantees you to travel with rich aromas and flavors in every corner of the Czech Republic. 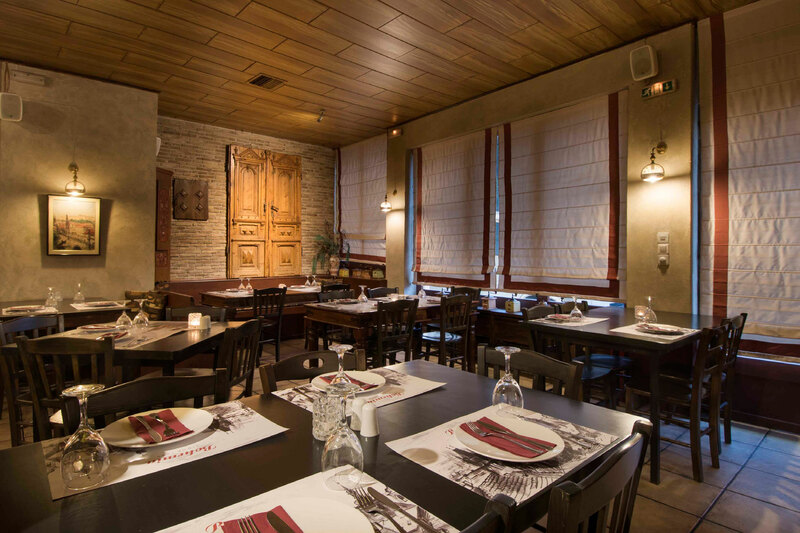 In our place for winter’s days and nights, there is wood decoration that combines with high aesthetics and gives the atmosphere a unique tranquility and warmth. The story begins in 1979. 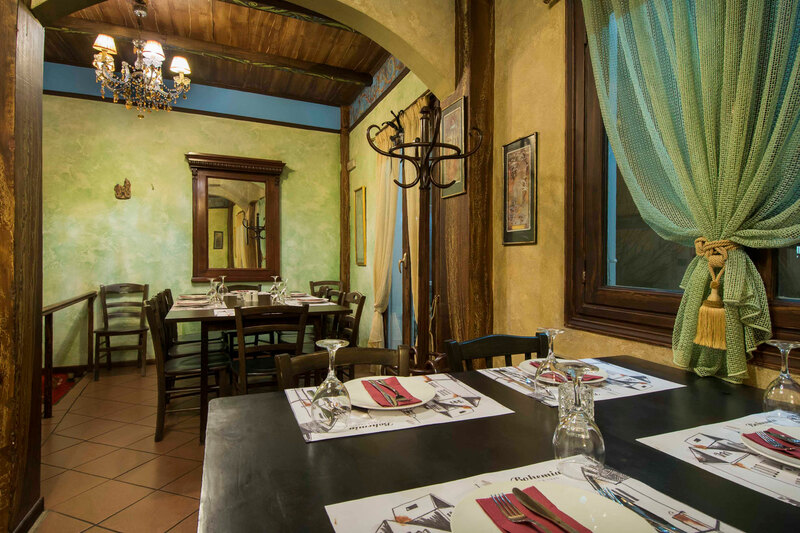 In the first restaurant that the two brothers dreamed of. Nikos and Kostas. There were the first steps until 1982 when the store was moved. 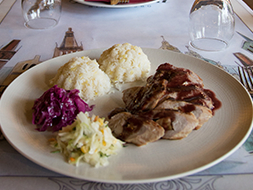 Since then, for many years has become the place where “Czech traditional cuisine” is housed in Athens. 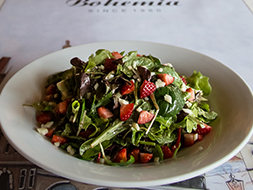 The Bohemia team has the passion its needed so every dish, salad, starter, main course and sweet could positively affect your senses and your health. 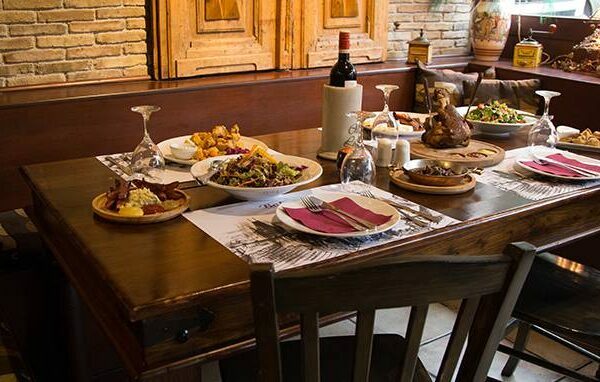 We are convinced that good food is not a secret. Silver side top round steak with white sweet and sour sauce, cream, melted vegetables and Knedliky. 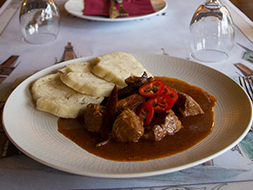 Pork leg shops, mild spicy with Czech smoked sausage, cooked in Kozel dark beer. 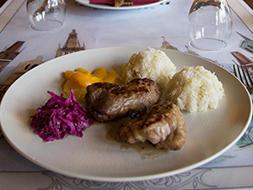 Grilled stuffed veal fillet on the grill with ham and peach & stuffed tenderloin with Edam cheese and pineapple.